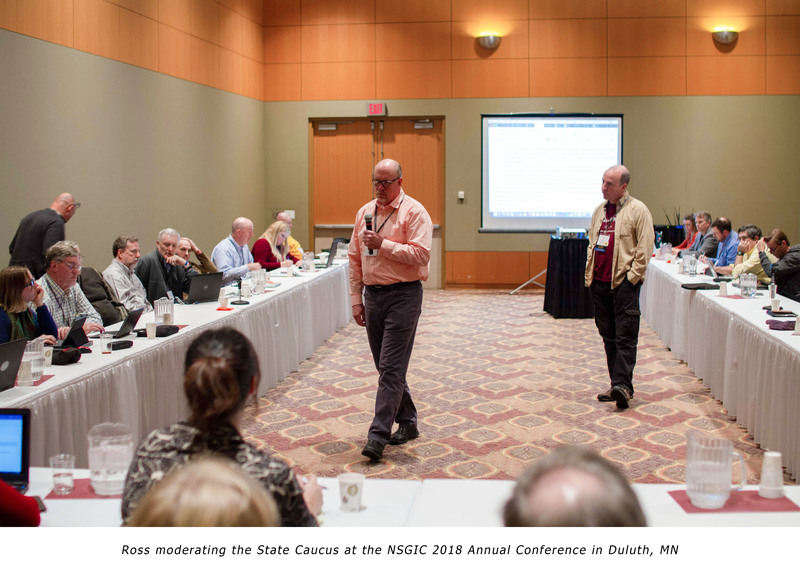 Minnesota GIO Dan Ross has spent 23 years in state government if you include the three years he spent as a system administrator and adjunct professor teaching GIS at St. Cloud State. In that time, he has seen GIS go from highly collaborative to falling off, and now in resurgence with both data sharing and a standards development. In that time, Ross spearheaded an effort to convince the Minnesota legislature that taxpayers were paying for data three to five times over because of the tremendous duplication of efforts. The efforts resulted in a law that mandated government-to-government sharing of data at no cost. In addition, the Minnesota Geospatial Commons was established. The Geospatial Commons - a collaborative place for users and publishers of geospatial resources about Minnesota - has won multiple national awards. The state’s spatial data infrastructure currently contains more than 750 layers, with about 194 web services available for access. Beyond funding, the sharing of data continues to be the state’s greatest GIS challenge, said Ross. To make it easier for partners to share data, his office accepts that data in whatever format it arrives and normalizes it into statewide data layers where possible. Some data can’t be shared publicly, so the state agencies partner together to make their data only available internally via file sharing and web services to state agencies. Orthoimagery and lidar have no set cycle and no funding. The Minnesota geospatial community is working together to develop a statewide plan that will identify specifications and funding for lidar. Legislative assistance will likely be required to address the completion of a sustainable statewide imagery and lidar program. For now, Ross said, individual agencies or small partnerships work together to collect small amounts of lidar as funding comes in. One public/private project imagery project is currently underway, covering 37 counties. 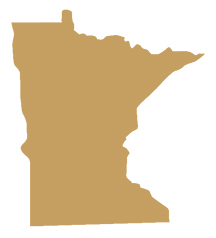 With the absence of a state program for orthoimagery and in an effort to make contracting for aerial imagery easier, three years ago Minnesota created a Master Contract that pre-qualified nine vendors to compete for work orders related to imagery collection and capture. Organizations using the contract for imagery collects are required to make the data open and free. If local partners share the orthoimagery with the state, the state hosts it for free and delivers it back to the community as web services. All years of NAIP are hosted - some of the early imagery is missing (1938), but there are currently 51 different imagery datasets available through the web services. For Minnesota and other states, Ross sees the biggest challenge - and opportunity - in sharing best practices. For example, he said, Minnesota is heavy into NG9-1-1 and he can look to the other eight states currently active in the issue to obtain information and knowledge from their experience. “Minnesota was an early adopter of GIS, and being part of NSGIC has helped,” said Ross. As a state GIO, he said, he needs to hear what other states are doing and identify opportunities to partner and collaborate. Integration of digital sensors for full, real-time, 3D tracking of people is one of the most exciting geospatial advancements, said Ross, something that was implemented when Minneapolis hosted the Super Bowl earlier this year. He’s also excited about the capabilities of Google and other organizations for big data analytics, despite concerns over privacy. With Minnesota’s focus on the next generation of 9-1-1, Ross is looking forward to accessing coordinates from cell phones to achieve great accuracy for emergency response. Ross’ path to GIO started with a civil service exam taken early in his career. He knew he wanted to work in government when he headed back to school. With a minor in geography, Ross was interested in remote sensing and working on the USGS GAP program with wildlife corridors. His first job was setting up the remote sensing lab at the state’s Department of Natural Resources, which involved obtaining and setting up hardware and software to support remote sensing analysts. Ross received a double major in biology with a focus in studies related to wildlife and fisheries and obtained a master’s of elective studies with a focus on remote sensing and GIS. He also managed the GIS lab at St. Cloud State, home to the state’s first GIS program. When it comes to what he enjoys most about his job as GIO, “it’s mostly about the people,” he said. He’s a problem-solver at heart, and his role fuses innovation and collaboration. With that spirit, he truly enjoys having open conversations with members of the geospatial community and vendors to solve problems. “I consider them partners,” he said. In this free time, Ross enjoys making his own beer and wine and sharing it with family, friends, and neighbors. “It’s not hard, but it’s time-consuming,” he shared. He’s also recently undertaken several home renovation projects, including tiling an outdoor deck and adding a bathroom to the house. To learn more about GIS in Minnesota, visit the Minnesota Geospatial Commons or the Minnesota Geospatial Information Office.